Congratulations, you’ve accepted a position with a fantastic company and are ready to embark on the journey that is your career. As you’re attempting to feel at home in this new setting, it’s possible you’re experiencing many emotions, and that is completely normal. A new job can bring on happiness, fear, excitement, and stress. However, it’s important you don’t let these emotions get the best of you as you want to make a good impression with your new colleagues. Considering April is Stress Awareness Month, we wanted to share with you a few tips on how to remain cool, calm and collected in your new role. Although we cannot control everything life throws our way, developing and maintaining a routine is a great way to ensure our life outside of work is a little less stressful. A routine will ensure that your day is planned out, which may help to reduce feelings of anxiety and chaos. If you’re new to the regimented lifestyle, a great way to ease yourself into a routine is getting in the habit of going to sleep at the same time each night and waking up around the same time every morning. From there, depending on your personality type, incorporate other stress- relieving activities such as an exercise routine into your day to day. When you’re truly passionate about your career, you may find yourself devoting time outside of your scheduled workday to complete various tasks. 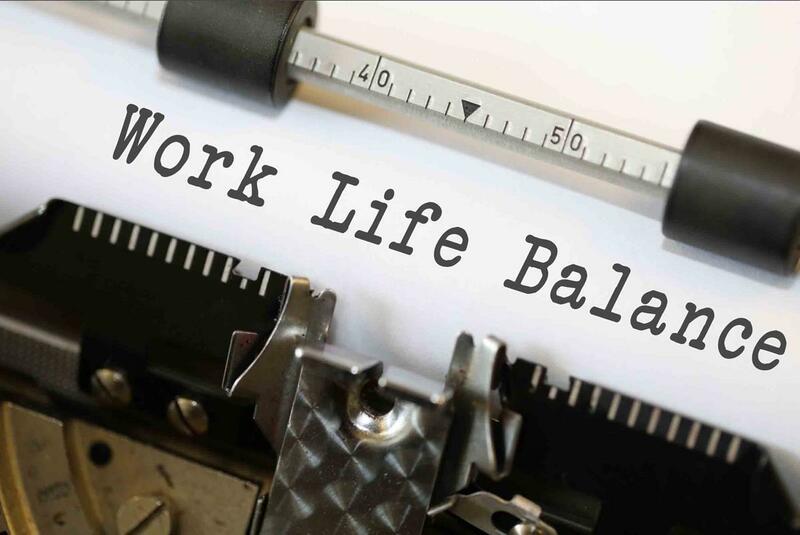 While this is admirable, most employers would encourage their staff to maintain a healthy work/life balance in order to prevent stress and feeling burnt out. Spending time doing things you enjoy outside of work may even help your productivity while on the job. In short, once you’ve clocked out for the day or Friday rolls around, file that deadline in the back of your mind and focus on enjoying every minute of the evening or weekend to ensure you’re refreshed for whatever the work days ahead might throw your way. Take a deep breath, or a few! In times of stress, it’s important to remember to breathe before you react. Breathing not only helps us to relax but also gives us a moment to step back and better asses the situation at hand. If you react too quickly, you may say something you didn’t intend, which can negatively affect the way others view you, especially in a professional setting. Take a couple of deep breaths, replay the details of the situation in your head or on a piece of paper, then think of a tactical way to overcome the issue. Problem-solving skills are a highly sought-after trait in the career field, so if you possess the ability to think rationally, you may have the upper hand in work situations. Keep in mind that while you’re the “new kid on the block,” everyone has been there before, even the CEO of your company! The first few weeks or even months may feel overwhelming but over time, you’ll become acclimatised and feel comfortable in your position. Maintaining a low-stress level during both the introductory stage and throughout your career is crucial to your success in the workplace. The less time you spend stressing the more time you can spend being productive and impressing the leadership and hopefully advance your career!